For those who want the best of the best! Black Label Synergy represents the cooperative action of state-of-the-art nano-glass ceramic particles with all-natural carnauba wax, providing incredible paint protection, a superior water contact angle, and a remarkable shine that will take your breath away. Pinnacle Black Label Synergy is formulated using the same nano-glass ceramic particles found in Black Label’s line of Diamond Surface Coatings. 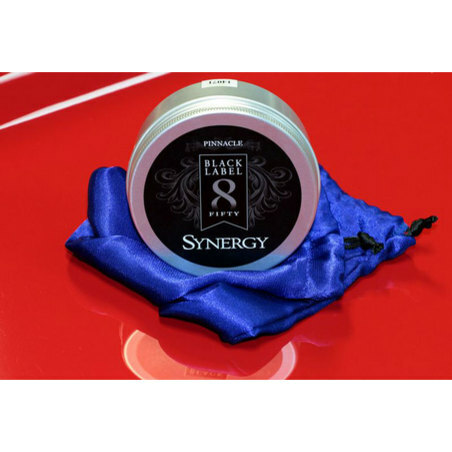 Synergy combines Pinnacle’s proprietary blend of carnauba wax with the most advanced synthetic ingredients available. This synthesis of gloss-enhancing ingredients creates an incredibly glassy, reflective finish that shines like a diamond. Through years of careful research and development, Pinnacle has pioneered a refining process that creates the purest of carnauba waxes - ivory carnauba wax. 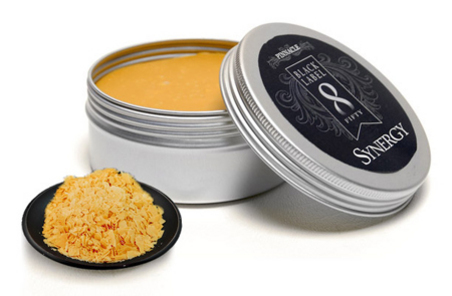 You’ll recognize this as the main ingredient in Souveran Paste Wax, a wax that has won numerous awards. Synergy takes ingredients once reserved for only the finest carnauba waxes and combines them with exclusive nano-glass particles to create unmatched clarity, depth, and protection. The key to success with Black Label Synergy is a clean foundation. Start off by washing and drying the vehicle. Then, cover your hand with a plastic baggy and feel the paint. If it feels bumpy or gritty, then you must clay the surface using Pinnacle Ultra Poly Clay. By now your paint will be looking great. Apply Synergy with the softest foam applicator available. It’s best to apply two thin coats versus one heavy coat. Working 2-3 panels at a time, apply the wax sparingly. 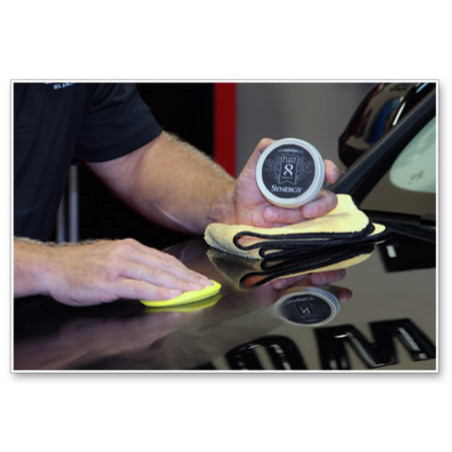 Allow the wax 5-10 minutes to set up, then gently buff to a brilliant shine using a Plush Microfiber Towel. Flip the towel often to avoid wax build up. Once the entire vehicle has been waxed, wait a couple hours and apply a second coat. Includes Gold Plush Jr. and poly foam wax applicator!